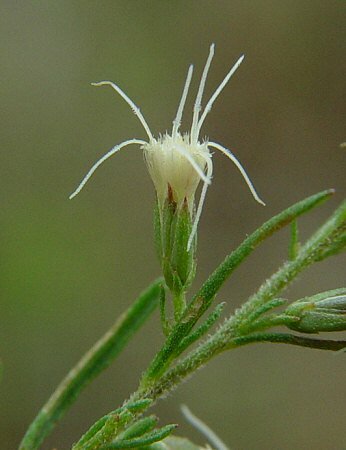 Close-up of an individual flowerhead. Habitat - Flatwoods, marshes, disturbed sites, pastures, fallow fields. 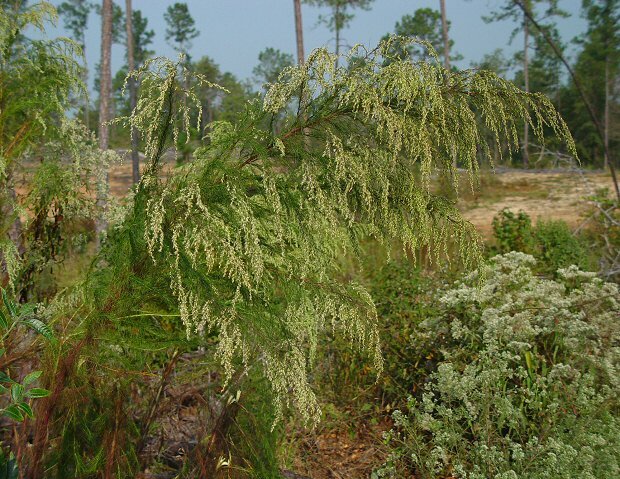 Other information - This weedy species can be found throughout most of Alabama and os certainly much more common than has been reported. The plant grows to +3m tall and is easy to identify becasue of its very thin leaves, pubescent stems, and odor. The plant emits a distinctive odor when crushed or bruised. 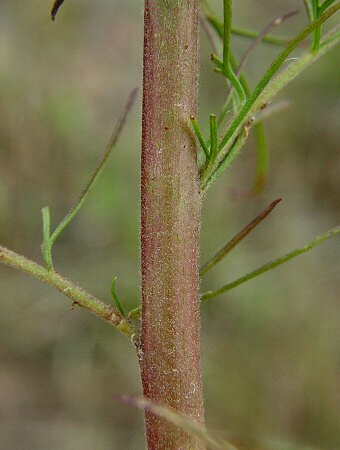 The leaves are divided into many filiform segments. The large inflorescence turns brownish grey with age and is easily visible from many meters away. This is a common species in cow pastures that are left fallow. 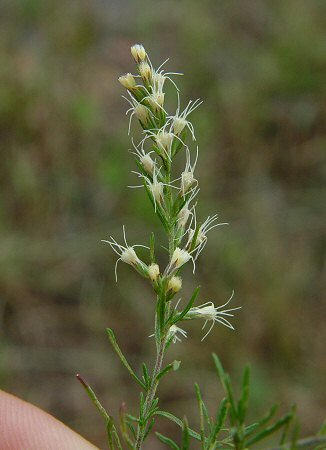 The species epithet capillifolium derives from the Latin "capill" meaning "hair" and "foli(um)" meaning "a leaf" referring to the thin segments of the leaves. Photographs taken off Lee Rd 10, Lee County, AL., 9-29-04 and 10-2-04.